Over half a million Apple iPhones were sold over the weekend following Friday's long-awaited launch. Since doors opened at 6pm on Friday , some 525,000 Apple iPhones have been bought, according to San Francisco-based analyst Trip Chowdhry at Global Equities Research . Piper Jaffray analyst Gene Munster also reports iPhone sales topping the 500,000 mark over the weekend. 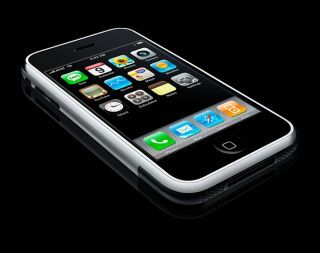 Some 95 per cent of iPhone buyers opted for the 8GB version of the iPhone, according to a survey by Piper Jaffray. Half of iPhone buyers switched networks to AT&T to sign up for the iPhone, the research suggested. Apple and AT&T haven't disclosed sales information for the device. Reports on iPhone availability in Apple stores indicate supplies are starting to decline, with 84 per cent availability in Apple stores across the US on Sunday, and a further fall expected today. The availability issue appears to be more marked in California, where outside of San Francisco 34 out of 36 stores appear to be short of stock, according to Apple's retail locator site. Half of the Apple stores on the West Coast sold out on the first day, according to Trip Chowdhry.